Sought after Indian design talents, Shehla Khan and Rimple and Harpreet Narula, are among the top tier designers to be presenting their latest bridal and couture collections at Aashni + Co Wedding Show in association with Zouch & Lamare. Taking place at Ballroom Suite, The Dorchester, 53 Park Lane, Mayfair, London W1K 1QA on 25th January 2015, Aashni + Co Wedding Show will mark the UK�۪s most high fashion Indian bridal exhibition, hosted in association with Zouch & Lamare ��� one of the leading, luxury wedding planning services in the UK that specialises in exquisite, original and bespoke weddings and events. Aashni + Co Wedding Show will also feature floral styling by Zita Elze, an award-winning artist, designer, teacher, creator of the Living Embroidery Bridal collection and design consultant, who will also be exhibiting as the show�۪s exclusive luxury florist. 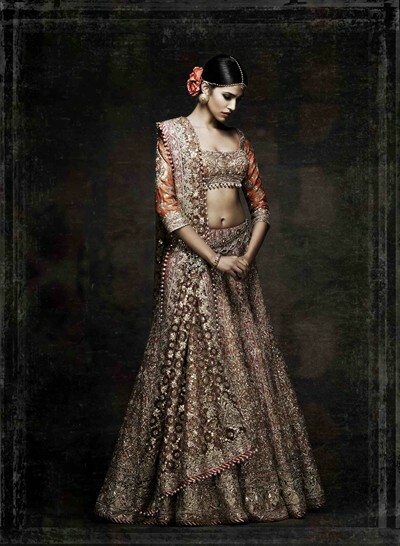 Rimple and Harpreet Narula, the label, was established in 2000. 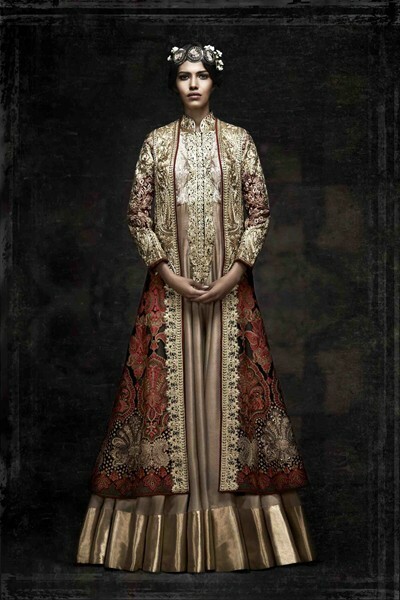 The aesthetic reflects their passion for couture as well as India�۪s rich and diverse textile and craft heritage. The influence of craftsmanship of nomads, the wanderers and the travelling tribes as well as the vivid cultures of Central Asia and undivided India have been a constant source of inspiration for the designer duo. Their body of work reflects their passion for revisiting ancient Indian workmanship and giving it a contemporary twist. The journey as creators, artists and revivalists is to strike a balance between the two worlds. The silhouettes keep the edginess alive with a measured mix of kitsch and couture. Aashni + Co Wedding Show will present on one platform high end, bridal and occasion wear by India�۪s most celebrated designer brands ��� from established, A-list fashion houses to the cr̬me of new gen talent, namely: Anushree Reddy, Arpita Mehta, Ashima-Leena, Jaipur Gems, Manish Malhotra, Monisha Thahryamal, Nikasha, Pallavi Jaikishan, Rimple and Harpreet Narula, Sabyasachi, Shehlaa, Sonali Gupta, Tarun Tahiliani and Varun Bahl. Furthermore for the very first time, the UK will experience the opportunity of meeting some of the leading Indian designers themselves under one roof. Aashni + Co Wedding Show is presented by one of the UK�۪s leading Indian fashion influencers, Aashni Anshul Doshi (Shah), Founder and Creative Director of Aashni + Co, a high fashion, Indian concept store located in Notting Hill, London. Ranveer-Deepika replace Amitabh Bachchan as face of brand?